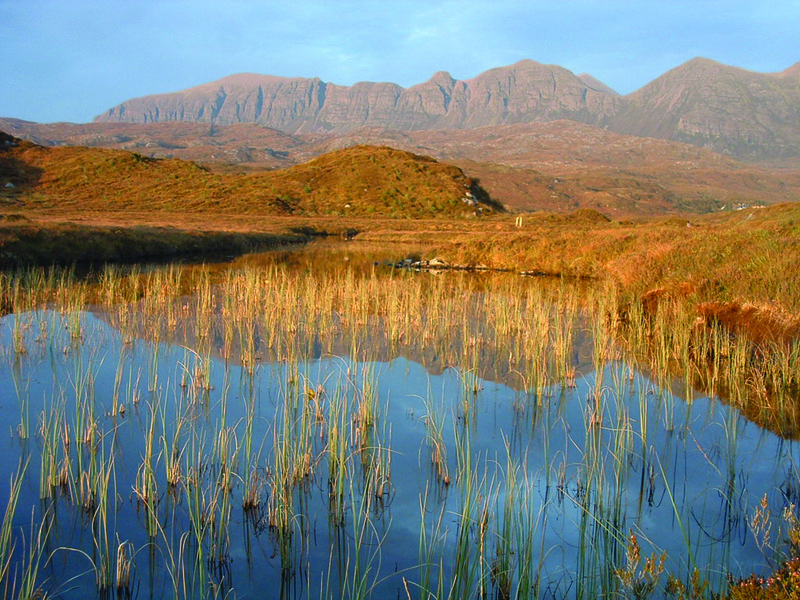 The Little Assynt Estate consists of three thousand acres of striking Assynt landscape, overlooked by the dramatic cliffs of Quinag. Its lochs, flows, secret glens, remnant ancient woods and recently planted trees are owned and managed for the community of Assynt by the Culag Community Woodland Trust. The aim is to hand on to future generations a healthier environment. Visitors are welcome to explore the landscape, look for wildlife, fish the lochs or get more deeply involved. The Estate caters for visitors from those with special needs to those who are prepared and equipped for wild land and weather.